We already know that Professor Zoom is back, and that he has a whole team of super-powered people with him…but where did all these people come from, and how did he put this group together? 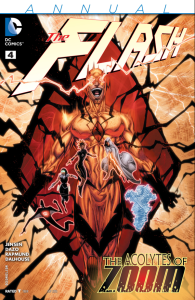 Writer Van Jensen goes solo on the script to give us the backstory, including the first appearance since FLASHPOINT of…don’t worry, we’ll get to it after the jump. 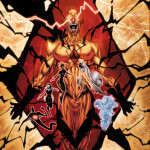 This entry was posted in Reviews and tagged Eobard Thawne, Professor Zoom, Review, The Flash Annual on July 29, 2015 by Ed Garrett. CosmicBookNews.com has uploaded the gag reel from The Flash‘s Season One Blu-Ray. The reel’s not quite eight and a half minutes long, and contains the expected bloopers and silly moments from filming and behind the scenes (all profanity is bleeped out). Check it out! The Season One DVD and Blu-Ray will be available for sale on September 22nd, at which point you can own this for yourself. This entry was posted in Fun, Media and tagged Flash TV Show 2014 on July 28, 2015 by Lia. 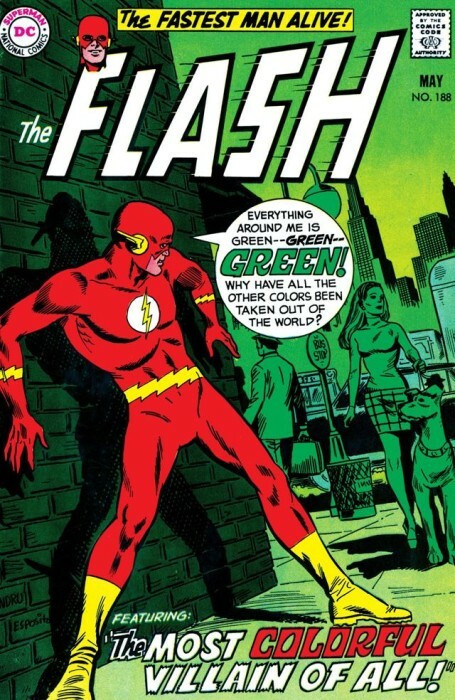 Amazon has a listing for The Flash by Grant Morrison & Mark Millar, a hardcover collection coming in April 2016. 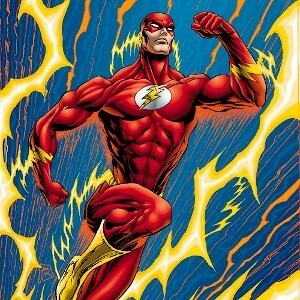 Morrison and Millar co-wrote one year of Wally West’s series back in 1998-1999, while Mark Waid and Brian Augustyn took time out to do JLA: Year One. Paul Ryan and John Nyberg did the art on the first few stories, with Pop Mhan and Chris Ivy taking over for the final story, “The Black Flash.” Steve Lightle did the covers for the full run. 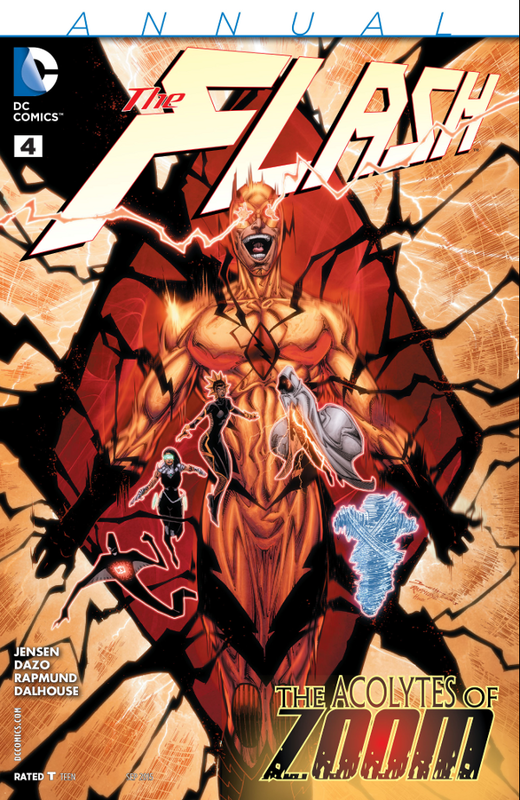 The timing is undoubtedly related to Morrison’s upcoming Multiversity Too: The Flash OGN. This entry was posted in Flash News and tagged Collections, Grant Morrison, Mark Millar, Solicitations on July 27, 2015 by Kelson. 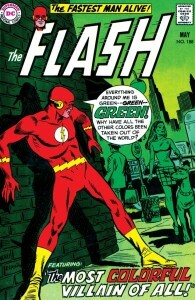 CBR has a six-page preview of this week’s Flash annual. Meet the new hunting party gathered by Professor Zoom – and see how The Flash’s nemesis recruited each of these deadly players to plague the life of Barry Allen. The annual is written by Van Jensen, with art by Bong Dazo and Norm Rapmund, and will be out this Wednesday. What do you think of the preview? This entry was posted in Flash News and tagged Flash Annual, Preview on July 27, 2015 by Lia. 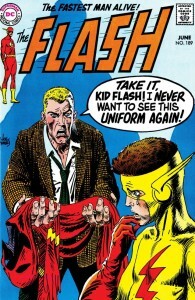 Flash/Legends TV Casting and News Round-Up. This entry was posted in Flash News, Media and tagged Casting, Flash TV Show 2014, Legends of Tomorrow TV Show on July 26, 2015 by Kelson.